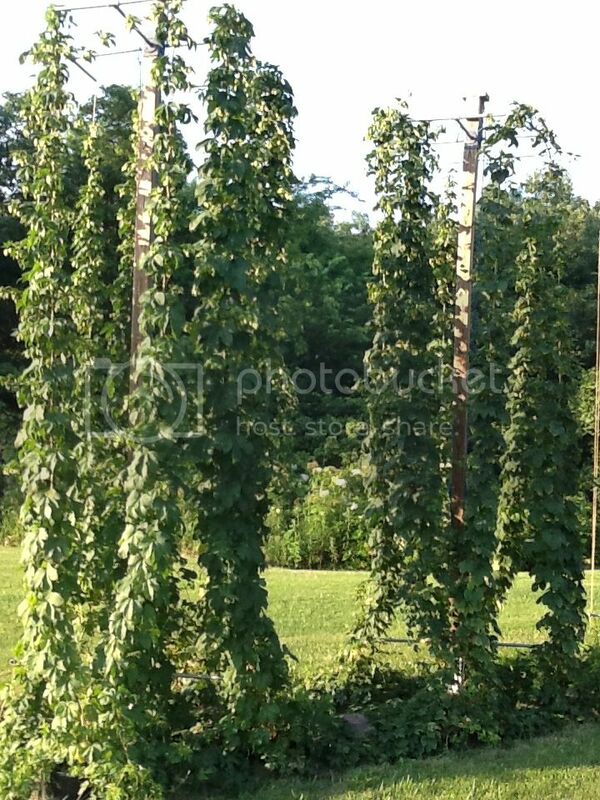 Beer Forum • View topic - 2013 HOPS! 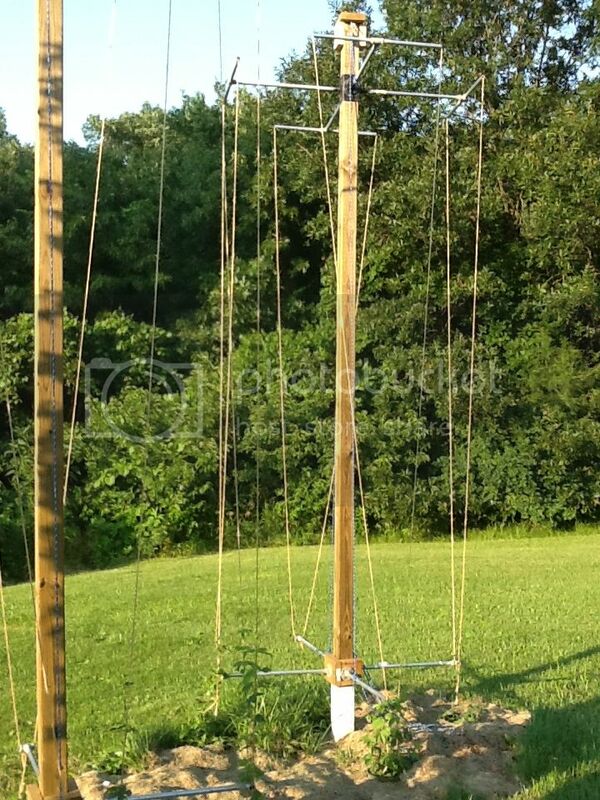 I just wanted to give my fellow homebrewers and growers a place to show us how their hop crop is doing in 2013. And this is 7 weeks later taken today. These are the Centennial hops, the Chinook rhizomes were in rough shape due to the usps so they are significantly smaller. 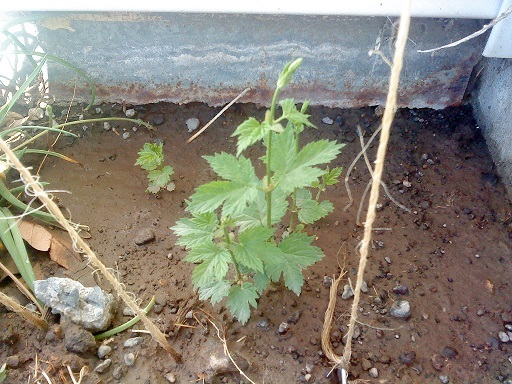 Please add your homegrown hops so we can check out your crop! 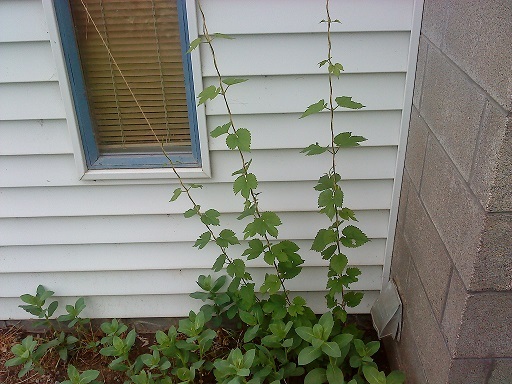 I'll have to get around to snapping a pic of the hops (also from Niko) that I planted out behind the HBS. I lashed together a trellis out of bamboo to support it, but the larger plant has already reached the top and is looking for more room. 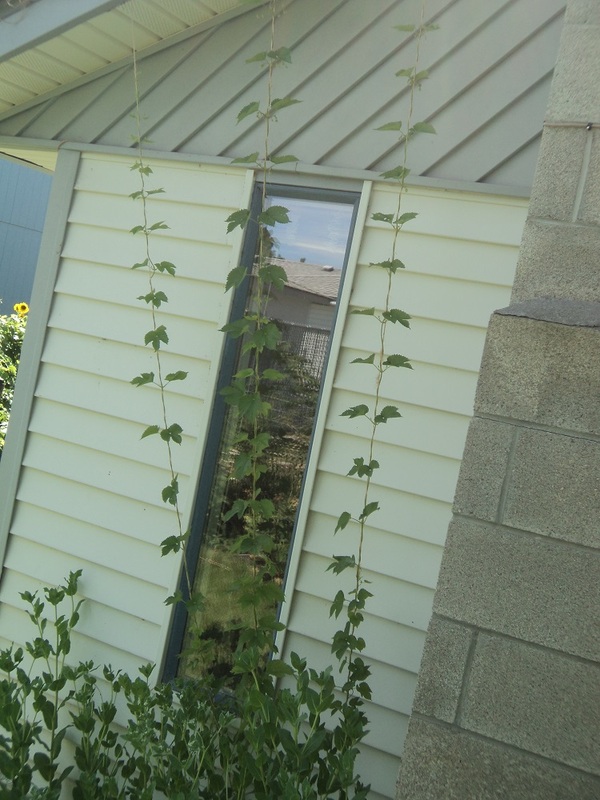 This is what my Centennial hops have done so far this year. 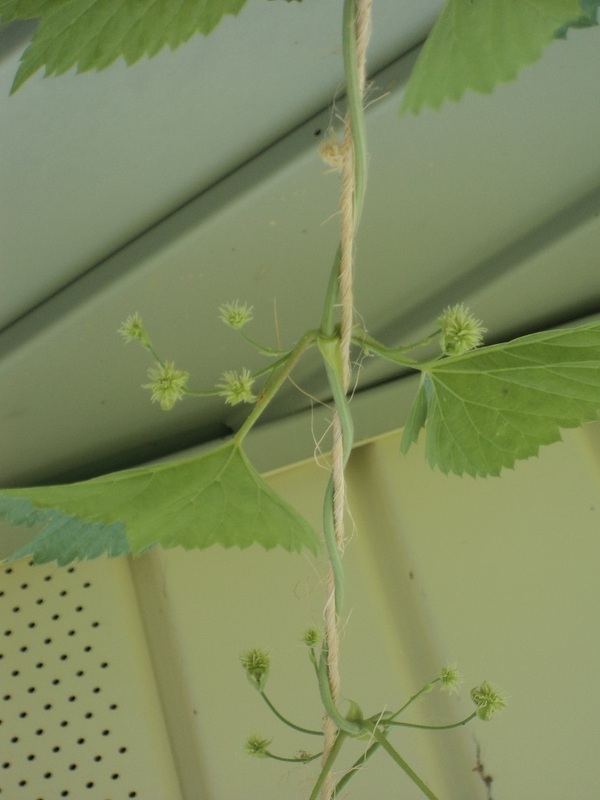 Just starting to get some hop cones on the upper 3-4 feet of bine. Hopefully I can get enough to make a descent fresh hop ale.